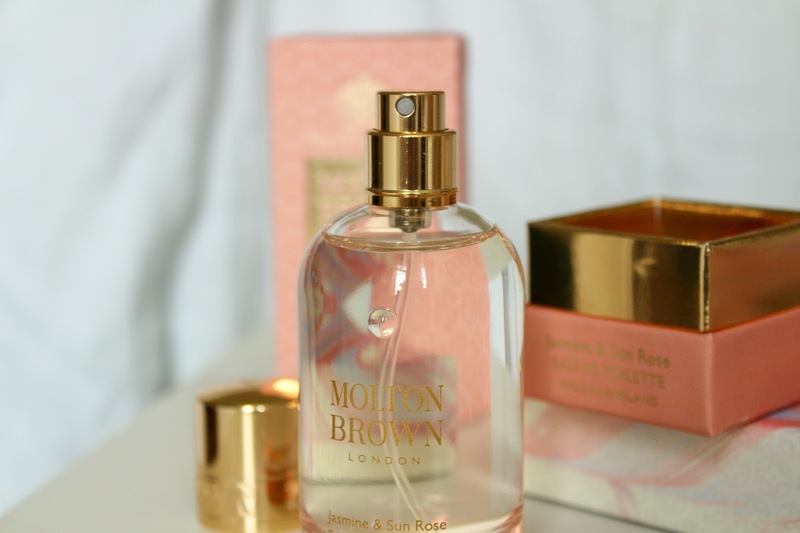 Jasmine & Sun Rose is the alluring new fragrance from Molton Brown, a fragrance full of mysterious floral notes. The collection features some of my favourite products from a luxurious bath and shower gel to a rich bathing oil. You can also buy the products in beautiful gift sets for friends or family, ideal for birthdays or Christmas. Youthful blushes of raspberry and peach contrast with the floral brush strokes of bewitching jasmine and osmanthus. Labdanum and musk in the background create a smooth canvas. 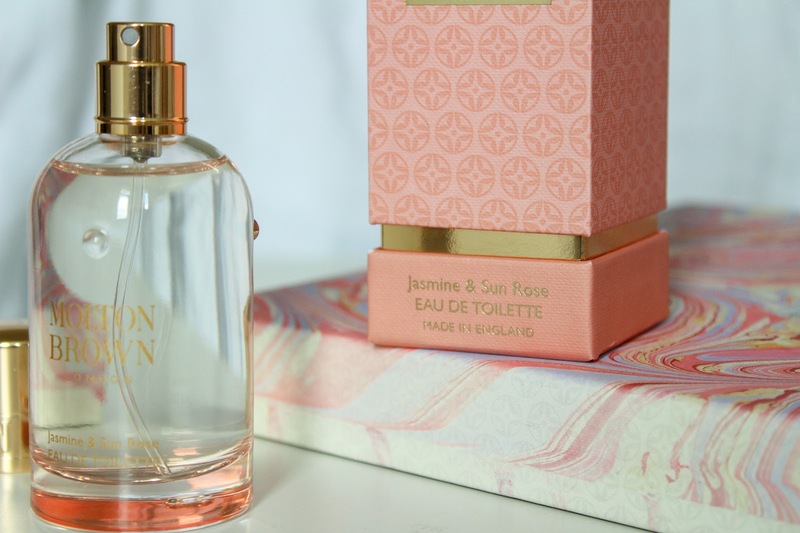 The first piece to note from the latest collection is the Jasmine & Sun Rose Eau de Toilette (£45.00) which now comes in 50ml and 100ml bottles as well as a beautiful box which opens in two. I adore the presentation of their fragrances. The glass bottle is a pretty shell pink shade with gold branding and a gold lid. I have the 50ml bottle which fit perfectly inside my bag thankfully as I haven't stopped wearing this since it arrived. It's light, beautiful and I love the way the bergamot blends with the jasmine. The next two pieces from the collection I have are the Jasmine & Sun Rose Bath & Shower Gel (£22.00) and the Jasmine & Sun Rose Body Lotion (£26.00). I'm a big fan of their bath and shower gels as you need the smallest amount for a really soft lather and the scent lasts for ages too. Doubled up with the body lotion, skin is left incredibly soft and smelling lovely. Now just to order the bath oil so I can have THE most luxurious and relaxing bath of all time. 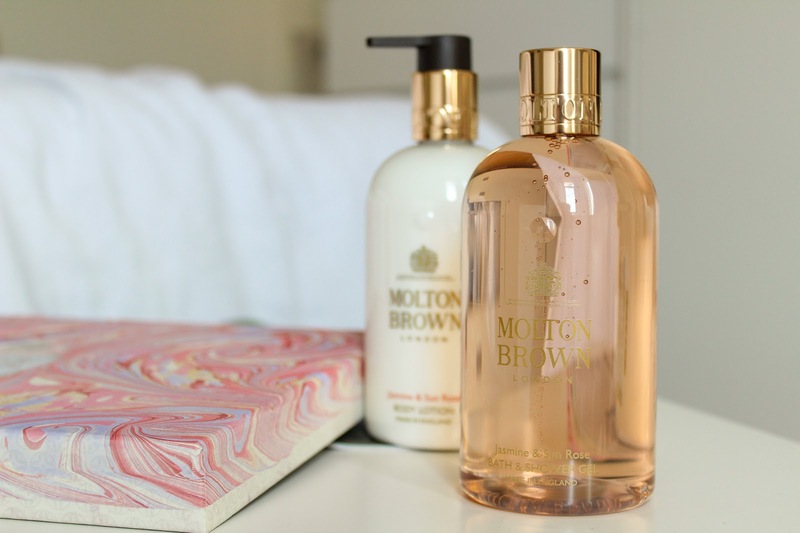 You can purchase Molton Brown products online and in stores. 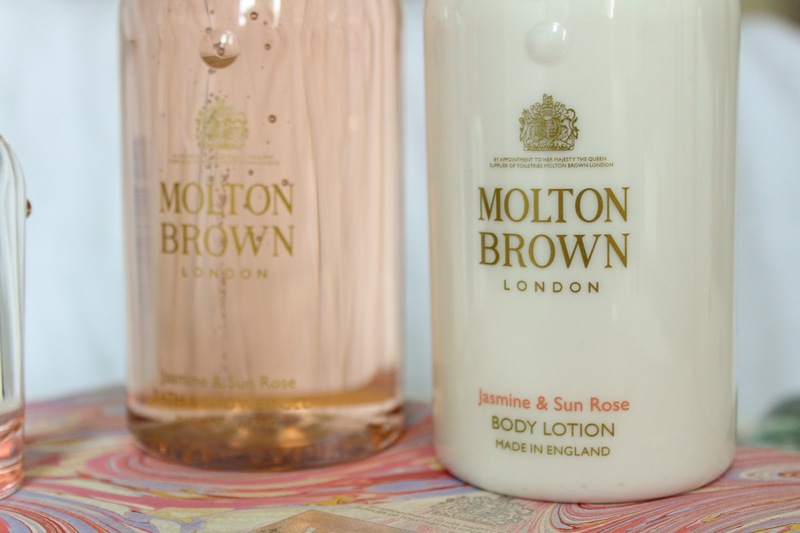 You can also buy Molton Brown products in John Lewis Southampton so be sure to have a sniff next time you're near, it would be hard not to fall in love with Jasmine & Sun Rose. 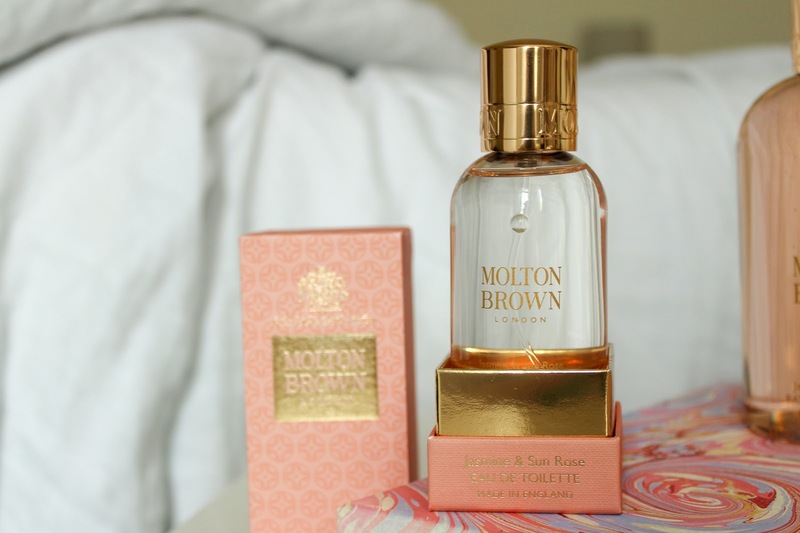 Oh wow it looks like it would smell incredible, I love molton & brown! Ooh they sound and look amazing! I love the packaging! 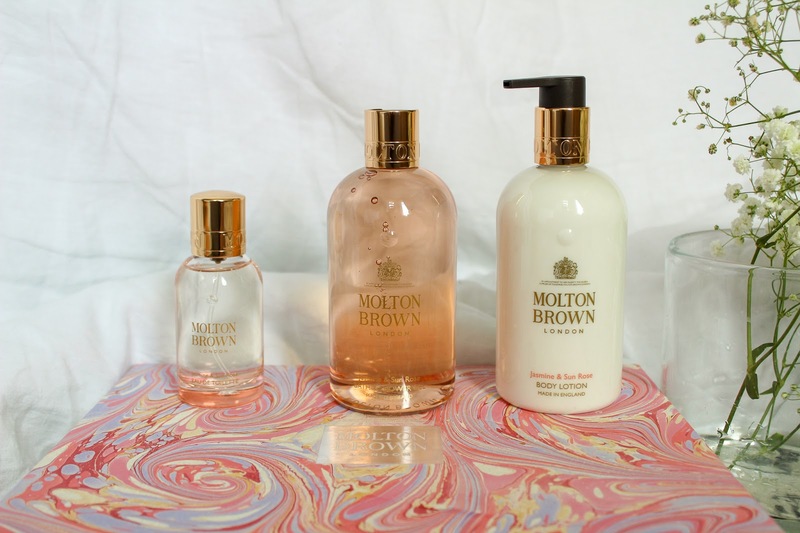 i absolutely love molton brown. 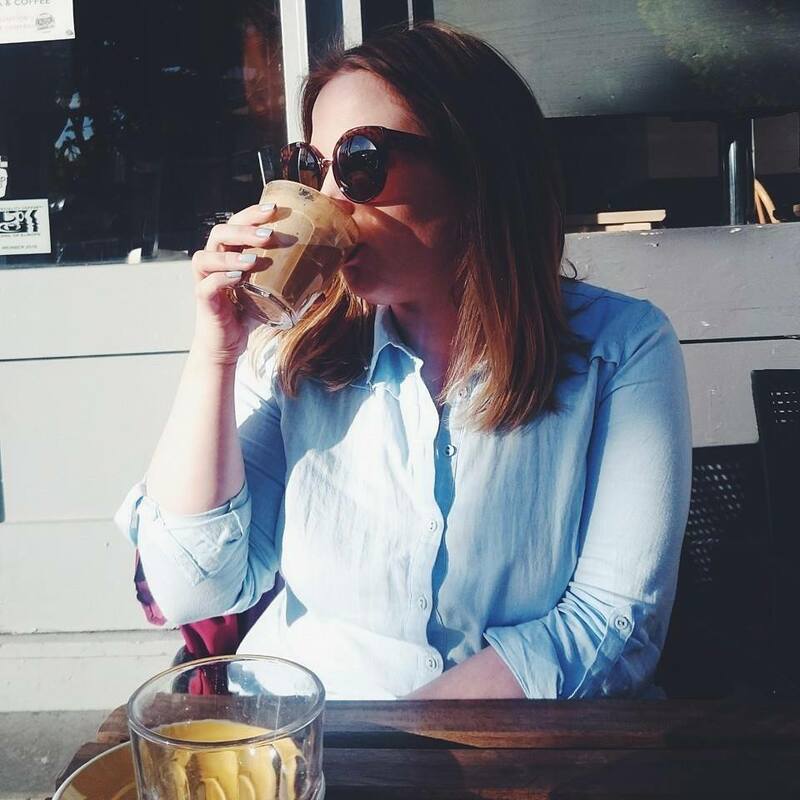 i bought so much for my sister when she bought her house as a treat and it is just incredible! These sound amazing - I love anything from Molten Brown! 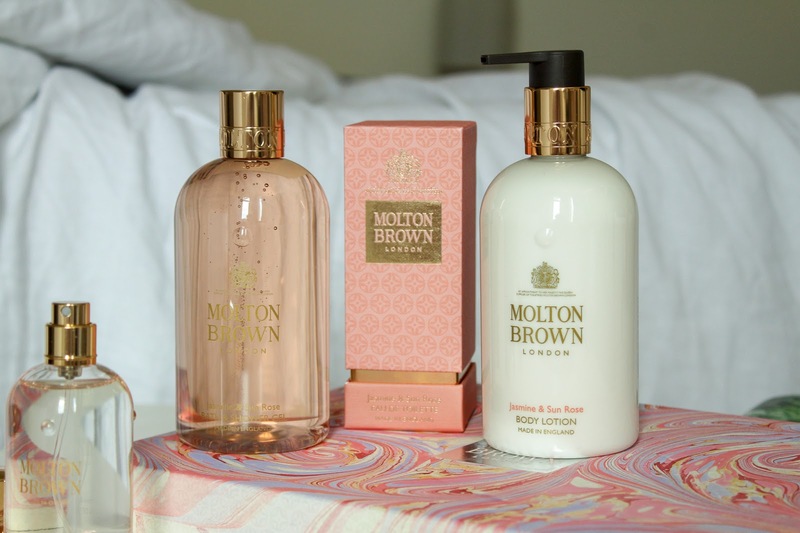 I haven't tried Molton Brown for ages! These are two of my favourite scents! I bet these smell so good. I'm tempted to go find some just so I can roll around in it and smell just as good haha!